Home – Royal Palm Aluminum, Inc. Your sales representative will work with you to select products that fit the needs of your existing property, meets your municipality’s code requirements and satisfies even the most stringent of Homeowner’s Associations. Our installation teams are accustomed to working within active residences and strive for the most clean and professional of installations within the quickest timeframe to let you get back to your life. 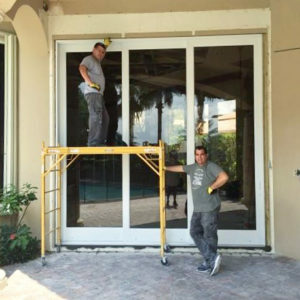 For decades Royal Palm Aluminum, Inc. has worked with South Florida builders and architects to stay ahead of the curve, providing cutting edge window and door product for new properties of every size. From uniquely designed private residences to multi-level condominiums our on-staff, licensed and insured installation teams have done it all. Our experienced teams can create customized packages with the best commercial window and door products on the market. We work with you to create a look that suits your business and meets the needs of your location. Our quick and professional installation ensures your business doesn't take a hit. 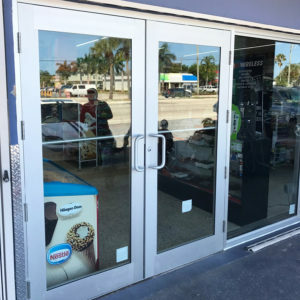 The strength and unsurpassed engineering of PGT Industries and CGI Windows and Doors combined with Royal Palm Aluminum’s decades of experience in installation ensure client satisfaction. We work with our clients every step of the way. From navigating the often confusing permitting process to selecting exactly the look and feel of your construction project to an installation you can be confident will stand against a storm or intruder. 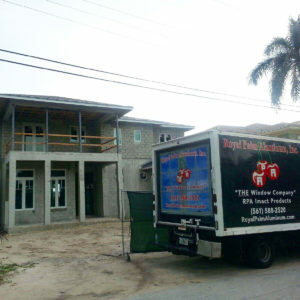 Your property is our priority and the best way to protect it is with windows and doors installed by Royal Palm Aluminum, Inc.